The books are open and we are now taking bookings for workshops and private classes in the UK and Europe this summer! WIN 500AED of vouchers to your favourite stores by being in the Top 3 dancers at the camp! Spring Dance Intensive starts March 31st! The first 10 to purchase their earlybird tickets get a free t-shirt! Earlybird registration closes March 22nd. Camp registration closes March 27th. No students will be accepted on the day. 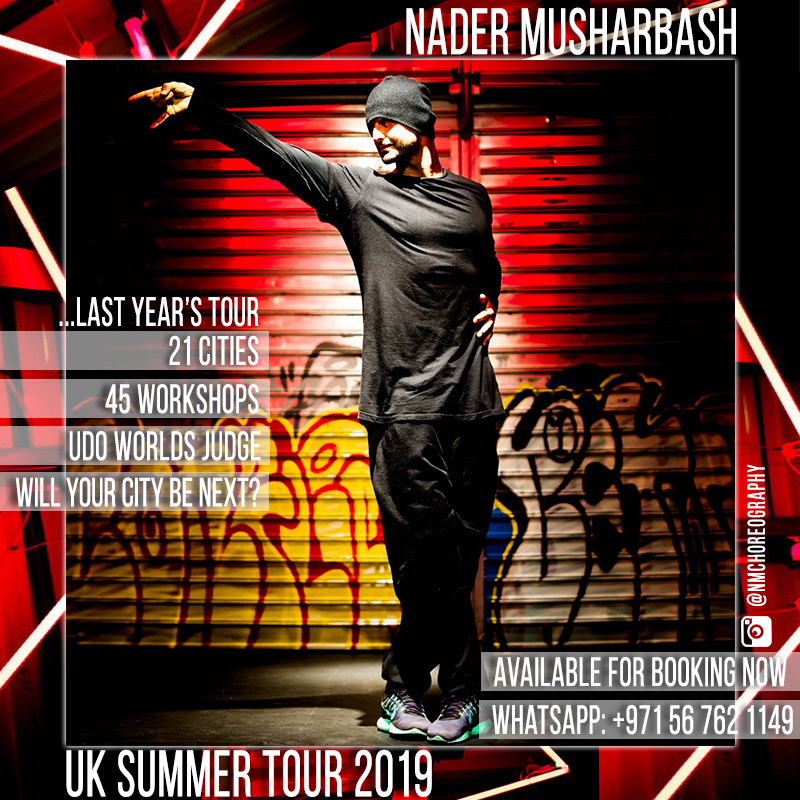 To sign up, contact us today: naderchoreography@gmail.com +971527793793 T&C’s apply.